I'm a Norbyah: Introducing Travelogue with Louella Odie: Let the adventures begin! 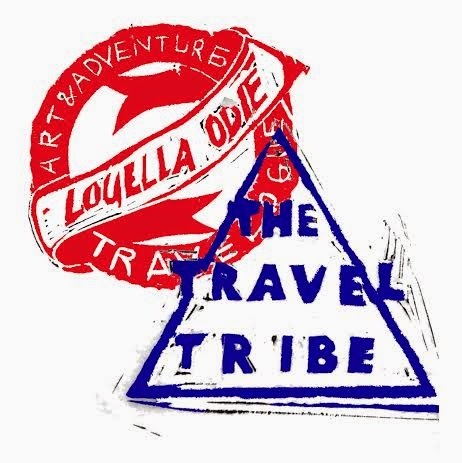 Introducing Travelogue with Louella Odie: Let the adventures begin! In the span of a day and a half, I've traveled halfway across the world and now I'm writing this post in an entirely bleary-eyed fog of jet lag, a far cry from when these outfit pictures were taken. Still, I'm dying to officially launch my Travelogue with Louella Odie properly on the blog. First, I'm not in Hong Kong anymore (I'm giggling because I sound dazed like Dorothy when she realizes she's no longer in Kansas). Truly, traveling into an entirely different timezone can do that to you. Couple that with an interesting American immigration welcome (extra special customs screening for the non white, non immigrant appearing peeps) and you're bound to feel gobsmacked! Second, I get to travel in style with some beautiful Louella Odie items this summer! Thanks to the lovely Karen and Lauren Mead, I have three beautiful bags and a gorgeous silk scarf to style up this summer holiday. This project has been in the works for several weeks and I"m so excited to share this collaboration now with all of you. At the end of each week, I'll write a Travelogue with Louella Odie post in which I'll detail all my adventures and share with you some pictures of these lovely items in some fun places along the way. I'll also be updating my Instagram feed regularly with little glimpses of these adventures, too. Please follow along here. But wait, that's not all! In addition to this, you can visit Louella Odie's website for a hand drawn map of my journey, including major destinations along the way. I'll be part of a select group, or travel tribe, who will be bringing beautiful pieces from Louella Odie around the world. Finally, as a part of this summer collaboration, Louella Odie is offering a discount code to my readers. All you have to do is enter traveltribe at check out for 20% off your purchase! Please pop over and have a look at their collection of bags, scarves, pocket squares and prints. I'm head over heels in love with my Skyline handbag already. And to think, while I am galavanting around with these gorgeous goodies, Lauren and Karen are hard at work creating a new collection for Louella Odie. I can't wait to see it.